This customer reported fly ash build-up above the silo cone level. The example below illustrates voids commonly referred to as "rat holes" above the discharge points. Due to restricted material flow material built-up is slowed during discharge, restricting throughput and adding costs to the process due to delays. In addition, this condition can cause asymmetric flow ultimately detrimental to the silo wall. USA Silo Service used a proprietary method to force built up material down into the open discharge points at the cone. From this point another proprietary device was deployed to complete the cleaning process into cone without damaging the existing stainless steel liner. Illustrated here is the cleaned hopper showing discharge points completely free of any fly ash material or build up. By eliminating blockages the facility process is returned to maximum efficiency. 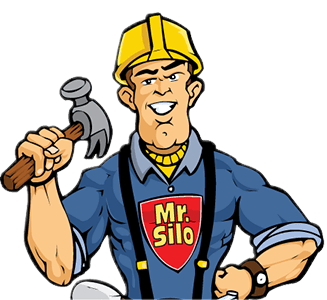 This particular project represents fast, professional services managed by the USA Silo project management and field crews using proprietary equipment and cleaning methods.